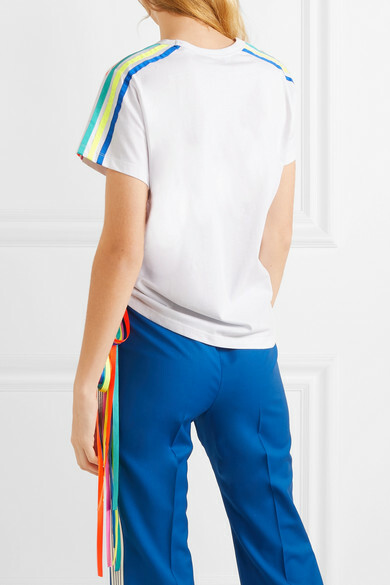 Mira Mikati's collections are always packed with playful prints and rainbow hues. 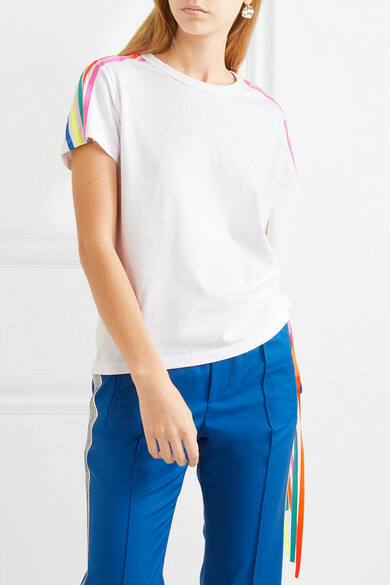 This T-shirt is made from soft cotton-jersey and trimmed with colorful grosgrain bands at the sleeves and inside, which trails down past the hem. 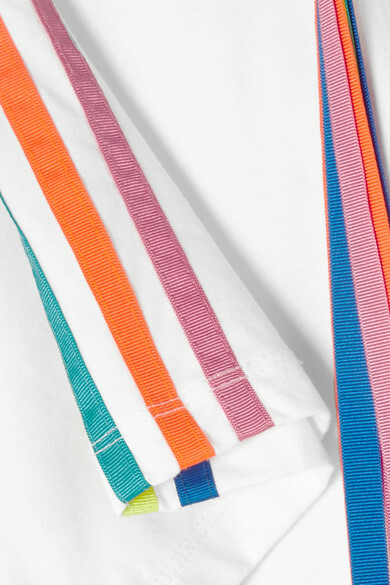 Wear it with bold tailoring or your favorite jeans. 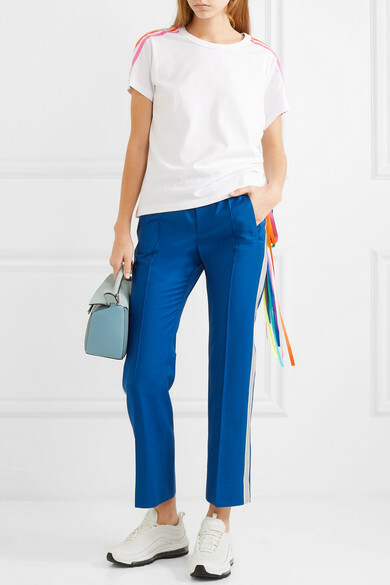 Shown here with: Miu Miu Pants, Loewe Shoulder bag, Nike Sneakers.